In 2011, Kirsten Kemp and her twin sister, Kelsey, hopped behind the camera to share their experiences navigating the ballet world as two, pre-professional students. From reviewing Summer Intensives, leotards, and auditions, Kirsten & Kelsey have covered a variety of topics on their YouTube Channel, TwinTalksBallet. Their channel has garnered a reputation for not only being informative to other dancers, but has served to educate an audience that is curious to know more about the life of aspiring ballerinas. Kirsten has continued their channel, faithfully tuning their audience in during her years of pursuing a higher education while dancing at the University of Utah and her time dancing professionally with the Oklahoma City Ballet. 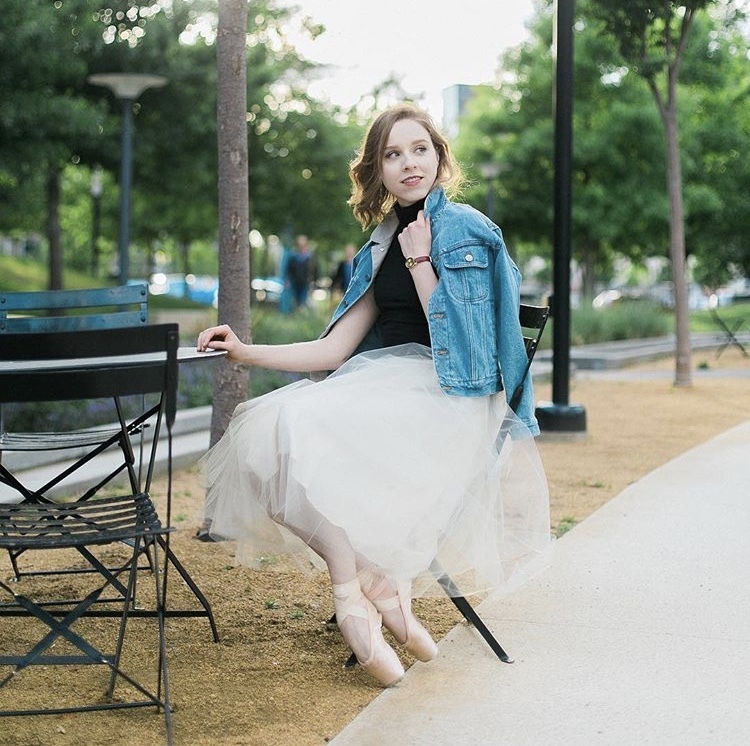 What makes TwinTalksBallet stand apart on YouTube is the way Kirsten communicates the importance of maintaining a healthy mindset throughout all the hurdles one may face in ballet. Kirsten has graciously shared on topics that often go under wraps in the dance world such as disordered eating, injury, the recovery process, and when might be an appropriate time to step away from dance. Having wrestled through many of these topics myself, I admire Kirsten’s honesty and vulnerability in sharing her perspective. She maintains a genuine hope that her videos would not only educate, but encourage those who may feel like they are going through some of these deep waters alone. I have been encouraged & informed through tuning in to countless of her videos. As a younger dancer, I would have longed to have the knowledge she is giving to her audience and I can’t help but think of all the other lives she’s impacted through her YouTube! And wouldn’t you know it, Kirsten has once again teamed up with her sister Kelsey in their latest business venture, Kemp Coaching Alliance, where they help coach young professionals in turning from confusing career transitions to taking bold steps toward their next, new direction. Be sure to Subscribe to TwinTalksBallet on Youtube & share her videos with those you think could highly benefit from all she has poured out for the dance community!